When the Terror of the Ton takes on the Hellion of Holker Hall, it’s anybody’s guess who will come out on top! For me, making the hero for TO LOVE A LIBERTINE wasn’t about giving a guy in tight breeches a bunch of cool gadgets or putting him in a secret underground lair. It was about showing a man’s struggle to overcome a dark past and figure out who he wanted to be. Lord Percival Falloure, Marquess of Tavistoke, started out as the quintessential bad boy—and when I say bad, I mean Vicomte-de-Valmont-bad. Yes. My darling, dashing Percy once was a cad and a blackguard. He once tried to steal his best friend’s bride! When TO LOVE A LIBERTINE begins, however, we see a penitent Percy who has only recently set foot on Reformation Road after losing in love and unwittingly helping to rescue a severely abused young prostitute from certain death. These experiences have irrevocably altered his perception, making him question himself and his role in the world. Whereas a villain is made when a person decides to embrace their badness, a hero is created when the opposite occurs. But how does one become a true hero? Wanting to be good or simply not being bad isn’t enough. Otherwise, we would never have seen Clark Kent transform into a spandex-wearing, caped icon of heroism. While Percy left behind a mile-wide damage path, I didn’t feel that cleaning up his own personal messes was enough to make him a “hero” in my protagonist’s eyes. I needed the Superman factor, which meant giving Percy a seemingly insurmountable obstacle to overcome that would draw out the best in him as a human being and prove him worthy of Eden’s (and the reader’s) heart. Enter the higher calling. One of the topics I researched for this book and its sequel (which I’m working on now), is the life of prostitutes and brothel workers in Georgian England. If you think the world of vice is worse now than it was then—think again. Those who take criminal interest in the young and vulnerable have always been around. The only difference now is we hear about it on the news and we have special law enforcement to combat anything illegal. London in the early 1700s was a center for every imaginable kind of depravity. Just about anything could be bought if one had enough coin, including people—and there was no organized law enforcement to address the problem. Enter our hero. As a self-imposed penance for his former dissolute life, much of which was spent in brothels, Percy takes on the flesh industry. Armed with a secret identity, he rescues young women and children from the clutches of London’s worst predators and gives them a second chance at life. It’s a dark, lonely, dangerous job—one for only a true hero. In addition to fighting monsters in the outside world, Percy has some pretty fierce inner demons to conquer. The biggest obstacles always come from within—they’re the most potent form of Kryptonite! I took the “you are your own worst enemy” approach with Percy and ran wild with it. Digging deep into his psyche, exploring his wounds, and giving him a second chance was so rewarding. There is nothing like turning a total scoundrel into a savior worth loving wholeheartedly. I hope you enjoy Percy as much as I loved writing him! 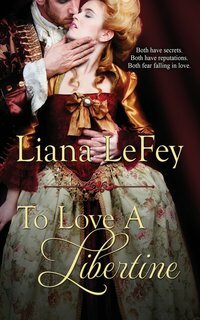 Liana LeFey delights in crafting incendiary tales that capture the heart and the imagination, taking the reader out of the now and into another world. Liana lives in Central Texas with her dashing husband/hero and their beautiful daughter. She’s also privileged to serve one spoiled rotten feline overlord. Fed on bedtime stories from such authors as Tolkien and Baum, Liana became a language-loving, book-gobbling monster at the age of four and has yet to be sated. All books are delicious, but her favorite flavor by far is romance! 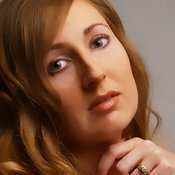 She began reading romance novels at fourteen with The Kadin by Bertrice Small and is now thrilled to be writing them for fellow enthusiasts. Both have secrets. Both have reputations. Both fear falling in love. London, 1727. When Miss Eden Lowther catches the eye of Lord Percival Falloure, Marquess of Tavistoke, she’s delighted, for his wicked lordship is anything but boring. The canny coquette who declined five suitors the season prior sets out to capture the infamous “Terror of the Ton” for keeps, but the man she finds behind the façade isn’t at all what she expects. Eden and Percy soon find themselves falling dangerously in love, despite their fears and her family’s objections. But will love alone save them when a ruthless rival forces her hand?